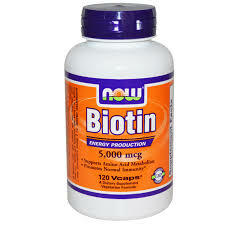 If you've not heard of biotin, well, it's like the salt of everyone aiming to grow long hair quickly. What happens though is that when the dosage of the biotin leads to overproduction of sebum, your face becomes the deposit site of the excess which can clog your pores, get infected and cause breakout. The second reason why you break out from biotin is that because your sebum production has increased, your facial routine has to be tailored towards regular cleansing. Now, the challenge is most often, we don't have a facial routine and that means we are unable to clear the excess sebum. Therefore, if you are taking biotin, you may have to either reduce the dosage or get your facial routine game on!